DBT – Dream. Create. Live. Abundance. 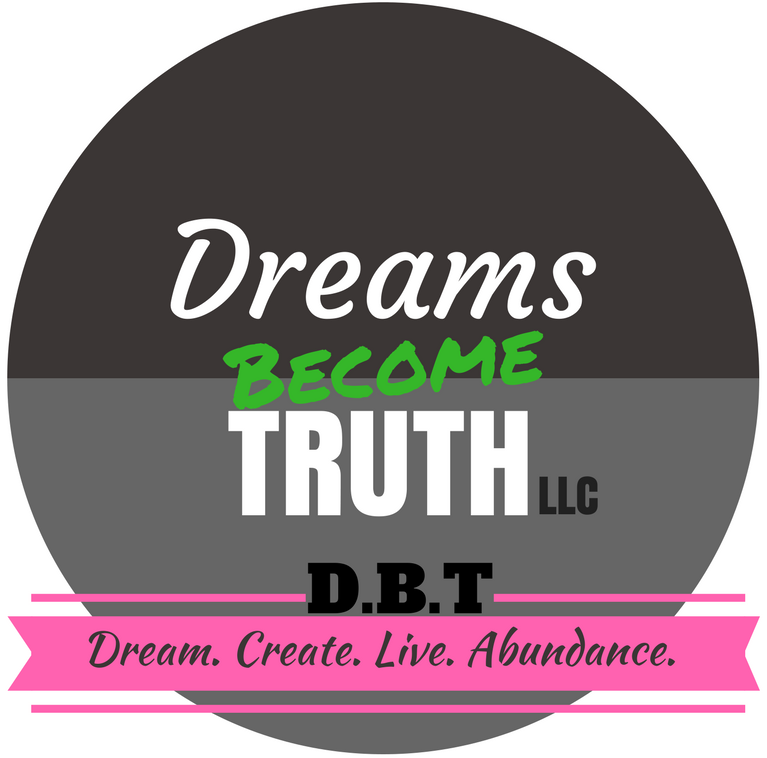 Welcome to Dreams Become Truth, LLC! Have you ever noticed that the busier you get the harder life gets? it can wipe us out. I can get swept away in my work. I love both of my businesses so much that it’s easy to dive in and stay in both places for long periods of time. The problem is that when we stay in one zone the other areas of our lives can fall apart from neglect. As a wife, parent, business owner, homeschool teacher, friend, sister, daughter and leader I can get so busy serving others that I totally forget to take time to myself. It renews by spirit and brings me pure joy… but there is more to self-care. When I take at least 10 minutes every day to myself. Sometimes it’s a quiet bath soaking in my oils with music going and oils running in my diffuser. Sometimes it’s sitting out in the sun in “time out” reading a book. Sometimes it’s going to Starbucks with my laptop and book and seeing what comes next. And, at those very rare times, it’s sitting doing absolutely nothing and feeling amazing about it! Regardless of what it is these moments in time that I think of no one but myself have been HUGE in effecting every other area of my life that matters to me!! We are told we are selfish if we think of only ourselves. We are “bad Moms”, “bad wives”, “bad leaders” and all other “bads” by society but that is WRONG. You MUST LOVE YOURSELF TO GROW! Not “like” yourself but truly LOVE yourself! When you can look in the mirror and see the beautiful you that you are, say “I love you!” with a smile and see your “flaws” as the gifts they are then you know you love yourself! And everyone reading this post has a reason to love themselves because you are AMAZING! I may not know you yet but I already know you are beautiful and have amazing light to bring to the world because you are a dreamer – and dreamers are what bring the uniqueness and changes to this world that makes all the difference! Take time to take-care of yourself. No matter how busy you are! It does not have to be a “power hour” or anything specific. Find something you enjoy and give yourself 10 minutes – 5 if that’s all you can do – and focus on YOU! Try this out and tell us what changes you notice! I think you might be pleasantly surprised at the results! Need help with where to start? Reach out! We are here to help! Subscribe to our site to stay current with all we share!